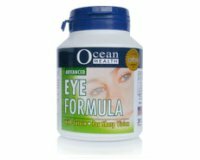 Ocean Health Advanced Eye Formula with Lutein is specially formulated with 6mg of lutein and other essential nutrients to promote healthy eyes and preserve good eyesight. 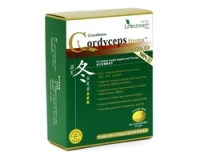 Research has shown that lutein benefits vision in a number of ways. It helps build macular pigment density, which is a critical factor in retina's health, and it filters out potentially damaging light to the eyes. Adults: Take 1-2 tablets daily with food, or as prescribed by your doctor.